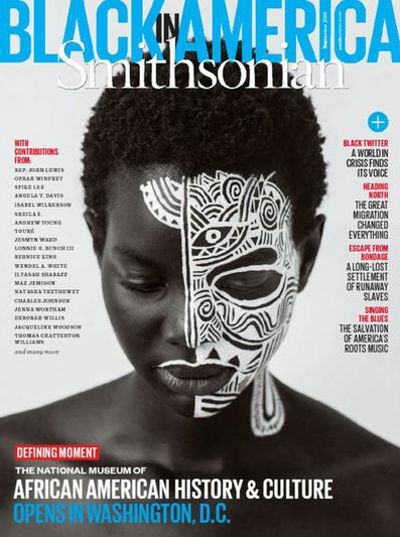 The Smithsonian’s National Museum of African Art will celebrate the historic opening of the Smithsonian’s National Museum of African American History and Culture Sept. 24–25 and Sept. 30 with a series of special events that tell the intertwined African and American story through music, discussion and tours. Nigerian visual artist Laolu Senbanjo whose use of lines and Yoruba traditional artistic expressions “Sacred Art of The Ori” featured on Beyoncé’s latest album Lemonade will participate in two events at the museum. His work is featured on this month’s Smithsonian magazine that commemorates the opening of the new museum. Programming Saturday, Sept. 24, begins at 10:30 a.m. Sunday programming begins at noon. All events are free and open to the public. 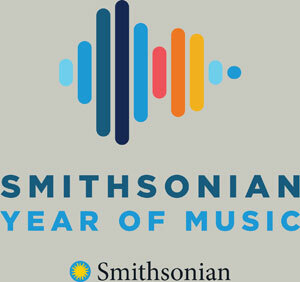 Listen to African American folktales and learn about their roots as National Museum of African Art docents read “The Anansi does the Impossible” by Verna Aardema; “Once Upon a Time in Ghana” by Ann Cottrell and “Talk, Talk: An Ashanti Legend” by Deborah M. Newton Chocolate. Kente cloth made by the people of Ghana and Togo is one of the best known of all African textiles. Visitors will be able to create their own Ghanaian kente cloth design while learning about the history of kente in the United States. Tour times are 10:30–11:30 a.m., 12:45–1:45 p.m. and 2:30–3:30 p.m.
Docents will lead “I Am Africa” tours of the museum’s galleries to explore works that show the relationship of individuals—youth and elders, fishermen and hunters, farmers and kings—to the community as a whole. Those interested in a tour should meet at the Pavilion-level visitor desk at the appointed time. Inspired by the museum’s current exhibition, “Senses of Time,” “Defining Our Time” will explore how members of the African diaspora exemplify our time through creative engagement with the arts. The discussion will begin with a guided tour of “Senses of Time,” followed by a live performance by Tsedaye Makonnen responding to the exhibition. Patrick Kabanda moderates as Esosa E., Jacqueline Lara, Femi Ogunjinmi, and Joy Spencer discuss how innovative entrepreneurship can help tell our stories. Visual artist Laolu Senbanjo will join the discussion to talk on creative interpretation. 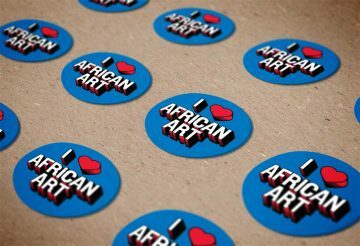 The museum will present a screening of the film, Am I: Too African to be American or too American to be African? Director Nadia Sasso interviews young women living in America and West Africa to gain insight into the complexity of identity. Following the screening, join us for a discussion with film director Nadia Sasso; moderator Msia Kibona Clark, assistant professor of African Studies at Howard University; and other members of the cast. Visual artist Laolu Senbanjo will discuss heritage and identity. More information about additional programming is at Africa.si.edu. The National Museum of African Art is America’s only museum dedicated to the collection, conservation, study and exhibition of traditional and contemporary African art. The museum is open daily from 10 a.m. to 5:30 p.m. (closed Dec. 25). Admission is free. It is located at 950 Independence Ave. S.W., near the Smithsonian Metrorail station on the Blue and Orange lines. For more information about this exhibition, call (202) 633-4600 or visit the museum’s website. For general Smithsonian information, call (202) 633-1000. Media only: Contact Eddie Burke at (202) 633-4660 or burkee@si.edu.